Marie O’Toole, a professor of nursing at Rutgers University–Camden, has been named as a Fellow in the National League for Nursing’s Academy of Nursing Education. She is among only 16 individuals selected nationwide for this prestigious distinction during 2018. Fellows in the NLN Academy of Nursing Education are individuals who have made enduring and substantial contributions to nursing education as teachers, mentors, scholars, public policy advocates, practice partners, and administrators. They provide a visionary leadership and are recognized for their expertise in nursing education. 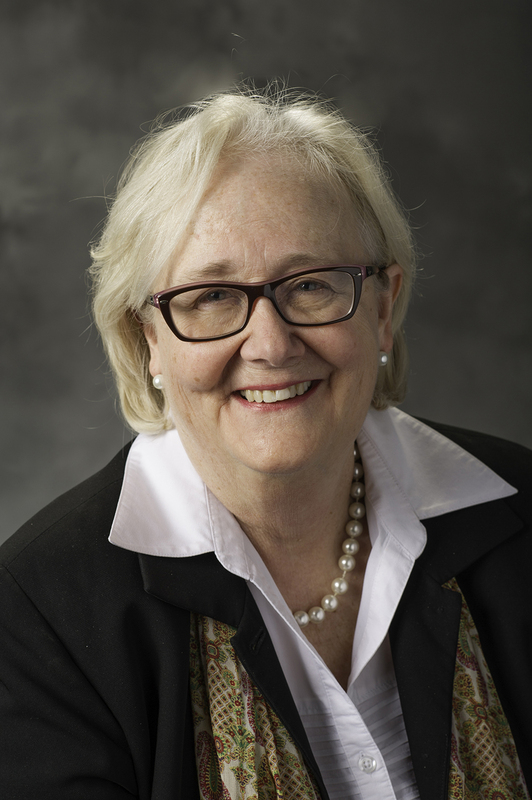 A resident of Haddon Heights, O’Toole serves as senior associate dean at the Rutgers School of Nursing–Camden. During 2016-17, she was the recipient of a Fulbright Specialist grant in education that allowed her to teach and study at Jordan University of Science and Technology in Irbid, Jordan. Fulbright Scholars represent a distinguished cadre of scholars and professionals serving as leaders in their respective disciplines at host institutions throughout the world. The grant recognized O’Toole’s celebrated history of developing and implementing global nurse education programs with partners in other countries. In the mid-1990s, she worked with the nonprofit organization Health Volunteers Overseas on a project funded by the U.S. Agency for International Development to develop baccalaureate nursing education in Vietnam. In 2007, O’Toole served as the principal investigator for a grant from the Fund for the Improvement of Post-Secondary Education to develop programs with Semmelweis University in Hungary and Laurea University of Applied Sciences in Finland. The project, jointly administered and funded by the U.S. Department of Education and the European Commission’s Directorate General for Education and Culture, created the first undergraduate, dual-degree program in nursing addressing the growing need for international recognition of nursing education to facilitate efficient emigration of nurses. A registered nurse in New Jersey and New York, O’Toole began her career serving as a staff nurse, and subsequently assistant head nurse and a staff development instructor, at the Hospital at the University of Pennsylvania in the 1970s. She then served as a nursing instructor at Rutgers–Camden, beginning what would prove to be an illustrious academic career spanning more than 35 years at several notable institutions. O’Toole also served as the associate dean for the Stratford campus for the University of Medicine and Dentistry of New Jersey School of Nursing – now a part of Rutgers University – from 2010 to 2014. As another indicator of her leadership in the nursing profession, O’Toole has served as editor of Mosby’s Dictionary of Medicine, Nursing, & Health Professions – the definitive health professions dictionary – for the past 20 years. Back to her Rutgers–Camden roots, O’Toole says that she continues to be amazed at the balance between research, teaching, and service that is a hallmark of the Rutgers School of Nursing–Camden program. “I am proud to be a part of a growing, thriving academic community that strives to make a difference in its home city of Camden and also is committed to scholarship that distinguishes it on an international level,” she says. She attended the University of Pennsylvania, where she received her bachelor’s and master’s degrees in nursing. She earned her doctoral degree from the Rutgers Graduate School of Education.